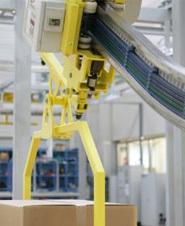 We offer full solutions for internal transport with/without integrated control, conveyor belts, chain conveyor and more. Air hoists with carrying capacities ranging from 125 kg up to 100 t and complete explosion-proof crane installations. We are one of the world’s leading overhead crane and hoist manufacturers. One of the world`s leading companies in process and conveyor belting. Offers the largest range of belting products worldwide. The Conveyor Systems division offers just the proper individual solution for any material flow challenge. Our product portfolio ranges from stationary and mobile shredding machines for waste management through to complete systems for plastics recycling as well as for SRF/RDF production.